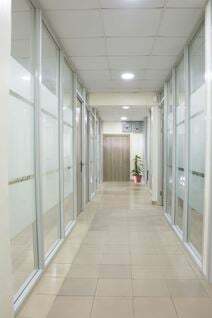 Situated in the heart of Ikeja, this business centre is easily accessible both by road and using public transport options. The centre is bright, spacious and modern, with a great selection of bespoke membership options including private offices, co-working areas and virtual office options. With glass walls you can have privacy without blocking natural sunlight. The building also offers access to a kitchen and reception services. This business centre is situated in a modern, elegant building and arrives with fully furnished work-spaces. Here, it is possible to take advantage of a range of useful services such as; conference facilities, meeting rooms, communal areas and a fully equipped kitchen area. The building is also accessible 24-hours a day making it an ideal location to set up your developing business. The office-space is well situated in the heart of Opebi-Ikeja which is a notable location for commercial activity within Lagos Mainland. It has access to secure parking and a host of local amenities surround the centre including restaurants, bars and shops. An impressive centre situated in a bustling district of Ikeja, providing a range of office-space solutions at affordable rates. Here, tenants can take advantage of the high-speed internet connection, meeting rooms, front desk service, 24-hour accessibility and business lounge access. The area is well situated close to plenty of local amenities including restaurants, bars and retail outlets. Public transport links are also numerous with bus, rail and road links covering all parts of the city.